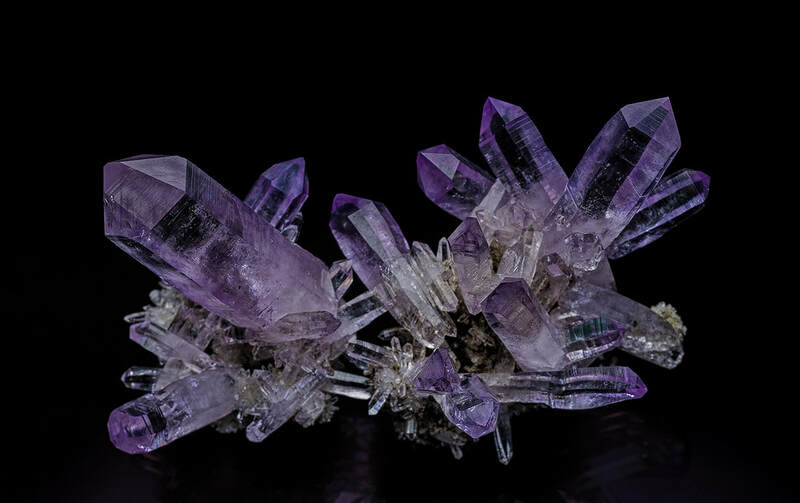 The Mineralogical Record just wrote about me in the "high value, low price" article for the Denver show. They also reviewed me in the "What's new in Tucson" for 2011, 2012, 2013 and 2014. I also coauthored an article in the MR, 2010 Mexico issue about the Taxco, Guerrero, Mexico, district. ​I carry minerals in every price range from beginner to museum quality. These include the "Raspberry" Grossular from the Sierra de Cruces, Coahuila, Mexico that I mine. Current work is in Las Vigas Veracruz for Amethyst.